The Lagos State Government at the 59th Retirement Benefit Bond Certificate Presentation held on Thursday, 31st January, 2019 at the Lagos State Pension Commission (LASPEC) Office Complex, NECA House, Ikeja paid accrued pension rights of N817, 739 million into the Retirement Savings Accounts of138 retirees of the Public Service of which 95 per cent of the majority were from the State Universal Basic Education (SUBEB). A statement by Mrs Ajoke Lawal of Public Affairs Unit, LASPEC said the Commissioner for Establishments, Training and Pensions, Dr. Akintola Benson Oke, at the event, congratulated all retirees for the privilege given them by God to witness the New Year, adding that he affirmed that the State Government has consistently distinguished itself as a leading State in Pension Management and Administration. The Director-General, LASPEC, Mrs. Folashade Onanuga, in her welcome address reiterated that the State Government is very committed to Pensioners’ welfare. She went further to advice that the retirement money is meant for their well-being and not for frivolities. She also advised that the money be invested wisely in businesses they can monitor by themselves. All in all, she implored them to be active in retirement as much as their health could allow them. 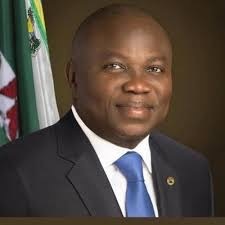 The retirees were very appreciative of the government for the laudable achievement of monthly payment of pension, which has not for once stopped since Akinwuni Ambode assumed office in 2015 as the governor of Lagos State. They wished him the best in his future endeavours and hoped that this trend will continue in the next political dispensation.